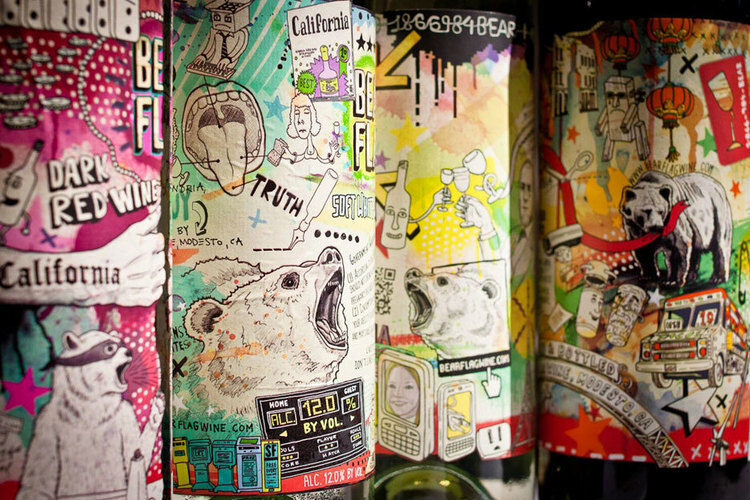 Co-create and launch a Gallo wine label that caters to a whole new audience. 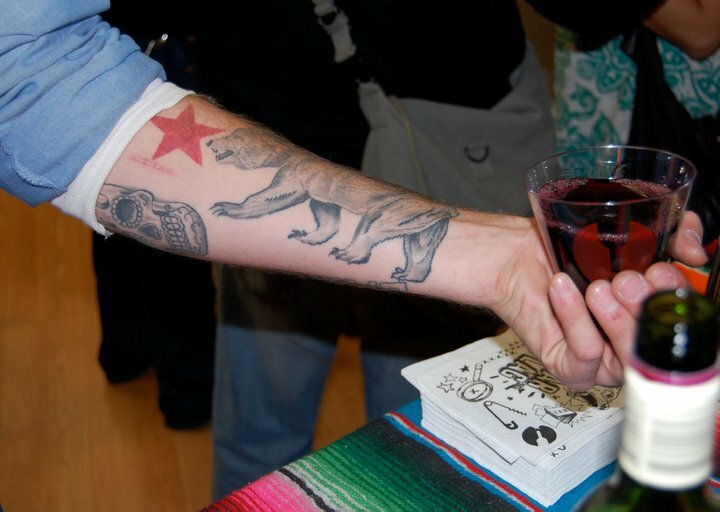 Bear Flag Wines was a collaborative partnership with Gallo, from the name to the labels to contents of the wine itself. 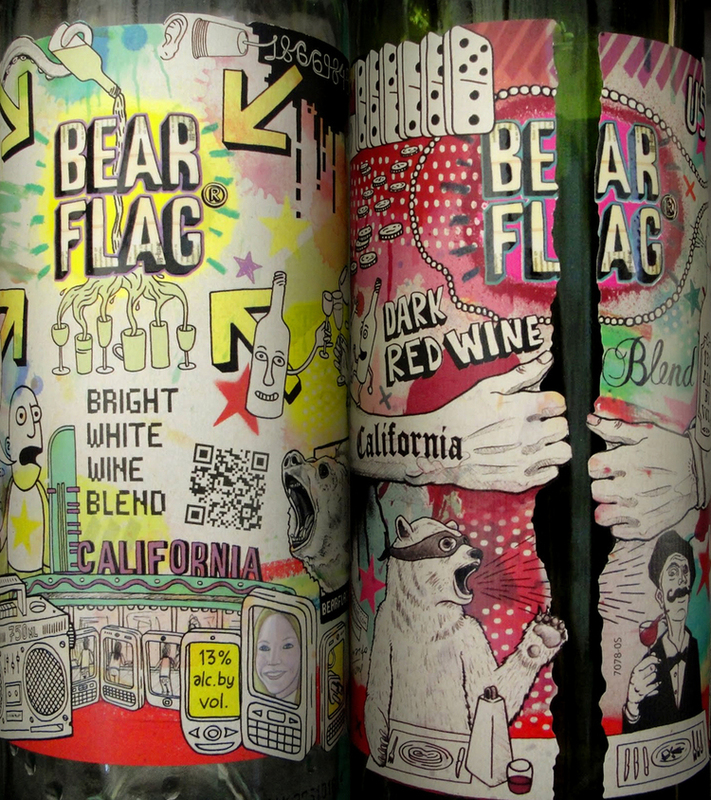 Acting in cahoots with their two youngest winemakers and armed with an small business budget, we launched the Bear Flag label with two blends that defied traditional grape blend formulas and used radically different marketing tactics than the traditionally conservative wine industry. Being unconventional and making it personal paid off - we hit Gallo's sales goals for the year in less than six months, tripling their projections while bringing them into a completely new crowd. Within a year we launched two more blends, and Bear Flags is now available in over 30 markets. We snubbed industry traditions to stand out in a crowded marketplace, from brightly detailed artist labels to reverse screw tops (at the time a fairly radical approach). No detail was too small - the labels even contain unlock-able messages and animated videos that poke a little fun at the industry. We hosted an unconventional tastings series at chop shops, sewing socials, adult petting zoos, digital book launches, wok workshops, and more. We offered up unique schwag like wood art and Rubix cubes as an agency-coached DIY sales team spread Bear Flag coast to coast and into Canada.